The best semi-truck accident lawyers in Miami and throughout Florida will tell you that the investigation of truck accidents can be complicated and extensive. 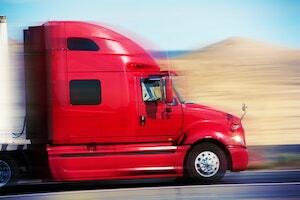 Understand that trucking companies are acutely aware of the potential damages that can arise out of a serious truck accident involving injuries or death. That is the reason why most trucking companies quickly gather evidence at the scene of a truck crash. The success in making a claim and financial recovery oftentimes comes down to the investigation by the semi-truck accident attorney and the team of investigators employed. At the Wolfson Law Firm, our Miami semi-truck accident lawyers have represented truck accident victims and families since 1963. We know how valuable a prompt and professional investigation can be in the prosecution of a truck accident personal injury lawsuit or a semi-truck wrongful death claim. We also understand the forces that are in play to defeat your claim. Insurance companies and trucking company investigators are all poised to minimize or deny your claim for fair, full and complete compensation. Call us today for your free consultation at 305-285-1115 or toll-free at 855-982-2067. One of the most valuable areas of investigation following any semi-truck accident is the history of any truck or truck drivers’ roadside inspections and violations. It is estimated that 95% of inspections are performed by state inspectors. The other five present are conducted by federal inspectors. These inspections are designed to help the inspectors make a determination of whether the commercial motor vehicle and or driver is in compliance with state and federal laws such as Federal Motor Carrier Safety Regulations and Hazardous Materials Regulations. When a serious violation is identified, it can result in the issuance of a driver or vehicle out-of-service order. That means the driver and/or vehicle cannot return to service until the violations are corrected. In 2015 state inspectors conducted more than 3.2 million inspections of commercial motor vehicles while federal inspectors conducted nearly 130,000 inspections. In 2015, the number of driver inspections exceeded 3.2 million inspections. The total number four driver violations in the same year exceeded 1 million. The number of driver out of service violations in 2015 exceeded 185,000. In any investigation of a truck accident involving serious injury or death, the records of roadside inspections and violations can be critical in proving that the trucking company is ultimately responsible for your loss or injury. At the Wolfson Law Firm, our Miami personal injury attorneys are here to help you after any type of truck accident. We offer complete legal representation for personal injury and wrongful death cases arising out of any truck accident anywhere in the state of Florida. We can come to you or you can make an appointment at any of our three offices in Miami, Fort Lauderdale, or West Palm Beach. Call us now for your no obligation and free consultation at 305-285-1115 or toll-free at 855-982-2067. The Miami truck accident attorneys of the Wolfson Law Firm serve not only the Miami Metropolitan area but all of Florida including Hialeah, Medley, Port of Miami, Doral, Port Everglades, Sunrise, Homestead, Florida City, Hialeah Gardens, Pompano, Fort Lauderdale, West Palm Beach, Orlando, Fort Myers, Jacksonville and Tampa.